This album was added to our database on January 8, 2002, and the album's information was last updated 13 years ago. burque.info is responsible for keeping this album's information up to date. This page has been viewed 22328 time(s). 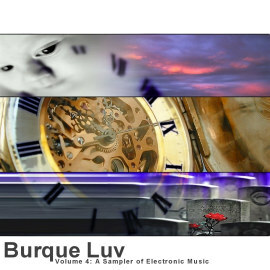 Play all the songs on "burque luv volume four"
Cover Art by Isaiah Rodriguez of Moaiz @ [moaiz.com Coming Soon!] Inlay art by Ash Wednesday. Retailers, distributors and promoters - get free promo copies. Release parties of April 20th, 25th, and 27th. Contact us for marketing, shows and bookings related to Burque Luv Volume Four! © copyright 1993-2007 by fearstudios.com ( 186430082+163ms ). All Rights Reserved. Report a bug or make a suggestion.